The University's "Your future" framework will help you make the most of your time at Leeds, by helping you to discover opportunities and options, develop personally and professionally, and make decisions about your next steps. What you do immediately after university is not necessarily going to dictate the course of the rest of your working life; careers are rarely comprised of a series of planned, logical steps, but often take unexpected twists and turns. Career development and choices are processes rather than one-off decisions. However, we know that rewarding careers come from actively engaging in career management throughout your working life. 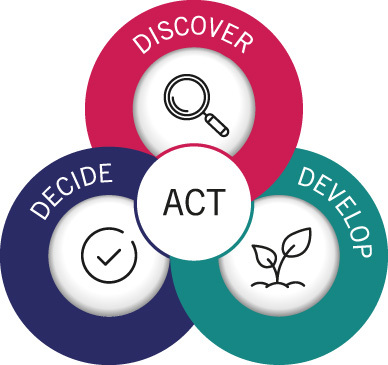 There are three elements to the framework: Discover, Develop, and Decide, all of which are underpinned by taking Action. Rather than a series of discrete steps which you complete before moving onto the next step, there will usually be considerable overlap between the various elements of the framework, you can join at any point and are likely to cycle through the framework continuously throughout your professional life. It is only by doing something that you will move forwards; this is why action underpins every element of the framework. This does not need to be a big thing, it might be coming for a careers appointment, attending an event, making contact with someone through the Leeds Network, or any number of other things, but action and review are crucial to progress throughout your career and professional life. This is about starting to consider, research and identify your professional interests. 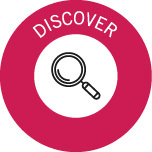 It might include discovering what opportunities are open to you as a student at Leeds, discovering what other students have gone on to do, discovering your own values, strengths and interests, discovering trends in your sector/s of interest, or opportunities for further study. 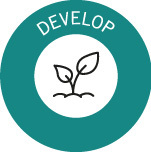 This is about development in its broadest sense: It might be you developing specific skills or experiences, it might be developing your awareness of options, or developing your understanding of your interests, values and motivations. The focus here is on shorter term decisions, as opposed to deciding what to do with the rest of your life. 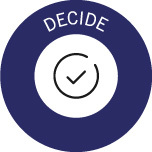 Ultimately, it is about deciding what to do immediately after university, but this may comprise various smaller decisions such as deciding to explore certain sectors, to do some work experience and apply for certain opportunities or further study, to seek support or anything else.